Why do I homebrew? Why does he homebrew? Why does that guy at your office spend all of his free time making beer when he could just be buying beer and drinking it? Jeez, he should have just become a brew master and not work at this office if he loves beer so much. Why are these people always asking you to try whiskey aged this, and double dry hopped that, or his attempt at something you are pretty sure had bacon in it? It’s because we all love beer, and we, as home brewers want to share this love and enthusiasm with every person we meet. My name is Ryan Tarpley. I am the store manager of Osborn Brewing, I have been an avid beer nerd for 10 years and a home brewer for 8. When I first tried beer I hated it so much I gagged and was pretty sure I was allergic to something in beer. I was very wrong. I had to find the beer I liked, a beer that had actual flavor. It wasn’t until someone handed me a Killian’s Irish Red that I thought I could tolerate beer. I was excited! I bought a 6 pack of Killian’s and stuck it in my dorm room fridge. It took me about a month to drink that Killian’s. I didn’t like it as much as I thought. I slowly explored beer until I hit a new level of understanding. That new level was Unibroue Trois Pistoles, a sweet, dark, Belgian strong ale that took me by surprise. I can still taste it: the notes of sweet, dark, stone fruits, dark, syrupy caramel character pushing its way through the fruit, plus lots of yeasty goodness. I couldn’t identify those flavors then, but I knew it was something special. The beer was divine. It was a new experience. It was unlike ANY beer I had tasted before. THIS was beer! I need more stuff like this. From that point forward, I tried anything new, always wanting to move forward, not once considering having a “regular brand.” I remember having beer tastings with friends, thinking we were beer snobs, thinking we knew a lot about beer. That is, until we went to visit the local homebrew shop. I stepped foot in that door and the owner poured a sample of outstanding homebrewed beer from a tap. I was floored. You can make beer this good at home!? And have it on tap! Wow! I had to do this! Skip 6 months ahead. 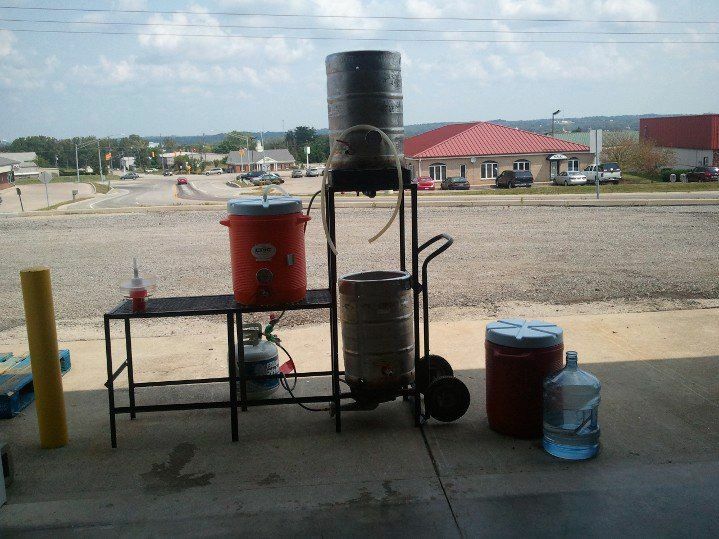 All of my friends had talked about buying the $100 set up and brewing beer, yet no one had. I took the initiative and went for broke. I bought the kit. Then I made my first beer. Groundhog Day IPA. I had gone to the homebrew shop and told the owner that I wanted to make an IPA and we brewed one there, on the spot. I bottled the beer on Groundhog Day, hence, the name. The moment I opened my first bottle was magic. There was a hiss and it was beer! It was good beer and it tasted like an IPA! Holy cow! I was hooked. That was it for me. In the beginning I went brewing crazy, I would go in and brew anything I could. I saved a few of each of my batches to share with my dad and his friend. It was a blast to me. But again, I was one of those guys now. That guy you know that makes his own beer and wants you to try his beer, to try a craft beer, to try something that puts you outside your comfort zone. And that’s OK. So, why do we, as home brewers, brew? Because we are fanatical about beer. Because we love to tinker. Because we love the science. Home brewers brew because beer. 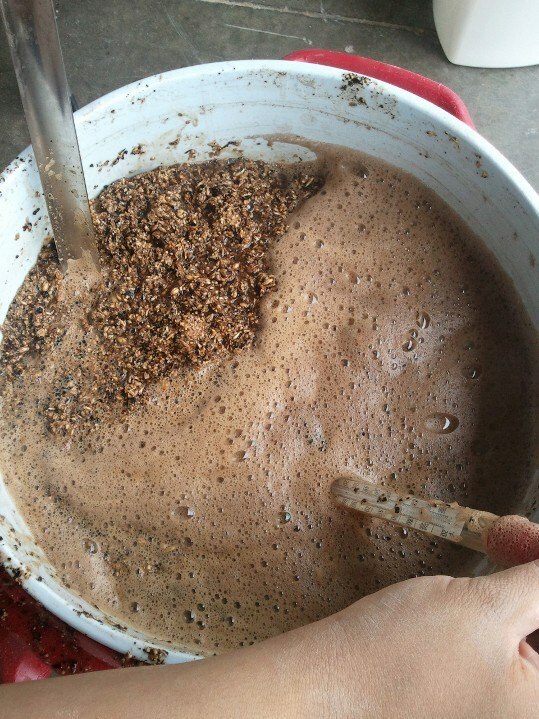 The reasons home brewers brew are as varied as they come. I brew because I love everything about beer, the history behind it, the experimentation, how we use it to interact, it’s status as a social lubricant, how it tastes, how it tasted and how it will taste. That last part may seem esoteric, but I have a point, I promise. Space to ferment is no obstacle! There has been a lot of talk lately about whales. Whales, in the beer world, are rare beers that take some work to obtain, either because of low quantity and high demand, or maybe the beer is only sold 1 day a year at the brewery. Guess what? I don’t have their temperature controls, or any of their equipment but I have stopped buying rare, expensive one off beers. Why? Because I can make whales at home. I don’t have to stand in line, I don’t have to trade my dog, I can just sit in my house and enjoy my own giant maple bourbon imperial stout. 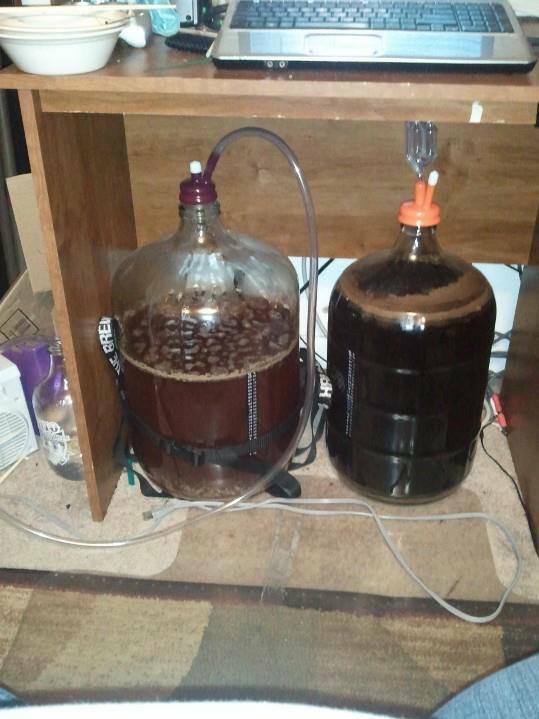 As a home brewer you get to push the boundaries of beer further than any brewery ever could. Breweries have to consider the bottom line when it comes to experimentation and ingredients. You, as a home brewer, don’t…you’re only limited by your spouse. I am not saying breweries aren’t experimenting, I am saying they have far less freedom to dump 10 random things into a beer. Sure you’re making beer, but is it any good? This hobby is so much about experimentation, about thinking outside the box and figuring out how to get things into beer that you never thought possible, and then again it’s about fitting into the box so well you can win. Welcome to competitive home brewing. People who have worked hard and honed their senses in on beers possible flaws and beer styles can taste your beer and offer feed back on how it fits or doesn’t fit, and how it all went wrong. Maybe your beer tastes like corn, or apples, or cough syrup. That’s why people enter competitions, they can learn from their mistakes. Maybe you want to make the perfect roggeinbeir, or the ideal amber ale. Perhaps you have an idea for a spicy imperial stout, there is a place for that as well. Competitions encourage better brewing, it makes you want to make the perfect Dopplebock. You get to have your beer evaluated and judged, and you get lots of notable feedback. I recently did a giant, 13% ABV Russian Imperial Stout, it received a 38 out of 50. I was told that the beer was simply too young and too hot (lots of strong alcohol notes) to move up, but if I give it a few years it will be pushed to the low forties. Now I know to let my some of my beers age. You, as a home brewer, have all of the control over your beer. You can take pride in knowing that you’ve made good beer. Maybe you want to show up that guy at your office who is always brewing something and you don’t think his beer is any good! Now you can! So why homebrew? Because your beer can be as varied as you. We home brewers are the happiest bunch of people you will meet because we know about the greatest hobby in the world: Brewing beer at home! There’s always the next rig! Next Next post: My days of being drunk are over, instead I’ll be rabbited!